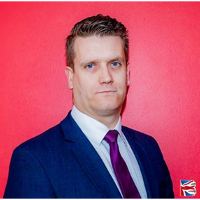 Brit Sec has announced the appointment of Rob McKeon as Sales Director, who has been brought in to head the Sales division based from Bit Sec Ltd’s Head offices in Burton on Trent. Specialising in the larger corporate sector, Rob joins Brit Sec from working as Corporate Account Director at Corps Security and brings further industrial experience in Business Development in moving business forward with Blue-Chip clients. Since Rob’s arrival, he has taken on a new Business Development Manager and expanded Brit Sec Ltd’s telesales department, adding three new members to the team. 2019 has begun and looks to be Brit Sec’s busiest year to date, with some prestigious contracts having been won and further contracts understood to be in the pipeline. With the acquisition of UK Fire and Safety Systems Ltd at the beginning of January, Rob and his team are now able to offer a full range of options to meet current and prospective clients’ requirements. That meet both their security criteria and budgetary targets.